Say goodbye to time-zone tiredness with these expert tips, says Liz Connor. Jetting off on the summer holiday of a lifetime is one of the best feelings in the world, but spending the first few days battling jet lag? Also known as ‘desynchronosis’ and ‘flight fatigue’, jet lag is a temporary disorder that causes fatigue, insomnia and sometimes other symptoms, as a result of air travel across different time zones. It’s caused by a disruption to your circadian rhythm – the internal body clock that governs your daily sleep-wake pattern. Besides fatigue and insomnia, unlucky travellers may experience a number of physical and emotional effects, including anxiety, constipation, diarrhoea, confusion, dehydration and headaches. In other words: It’s not a fun start (or finish) to a holiday. Before a flight, it can be tempting to load up on wine and beer to calm your nerves (or toast the holiday! ), or caffeinated drinks to keep you awake, but this could be doing more harm than good. “Hydration can be key,” says Dr Ali Hill, Applied Human Nutrition course leader at Solent University. Your body recovers best when it isn’t depleted of fluids. “Tea, coffee (if you’re not used to them) and alcohol can dehydrate you, depending on what type you have,” Hill adds. When it comes to choosing from the drinks trolley mid-flight, she suggests sticking to plain water, as artificial stimulants will affect your ability to sleep and increase jet lag recovery time. There are some sleeping strategies you can implement before you go away, to help ease you into the change of time zones when you arrive. 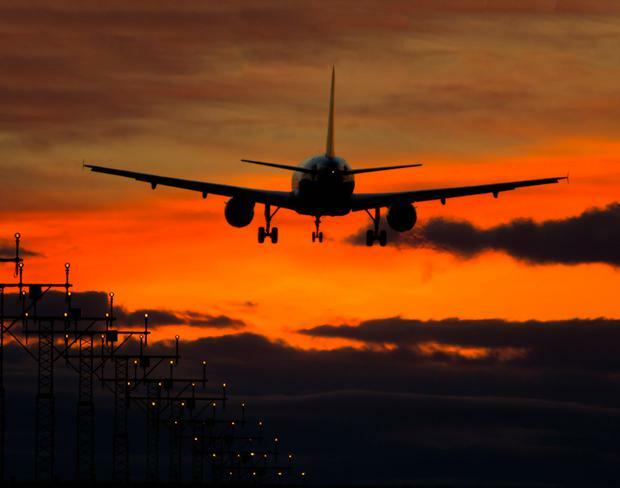 A few days before your flight, Hills suggests gradually adjusting your bedtime – either earlier if you’re flying east, or later if heading west. “By beginning to shift your sleep schedule early on, you’ll feel more energised to get up and get going even on that first day,” agrees Neil Robinson, Sealy UK sleep expert (sealy.co.uk). There are online tools that can help you to plan the shift. A Jet Lag Calculator (hillarys.co.uk/static/jet-lag-calculator) is really helpful; it analyses the number of time zones your flight crosses, in order to work out how many hours you’ll have to shift your body clock. When you arrive at your destination, it can be really tempting to start updating your social media channels and checking up on the day’s news, but if you’re planning to get some shut-eye, this can really throw off your sleep schedule. The blue light emitted by your device can trick your brain into thinking it’s daytime even when it’s not. Morgan says that this has the important effect of familiarising you with your new sleep environment. A simple but effective trick you can do during your flight is to change your watch, phone and laptop to match the time of your destination. This will mentally prepare you for the new time zone you’re about to enter. 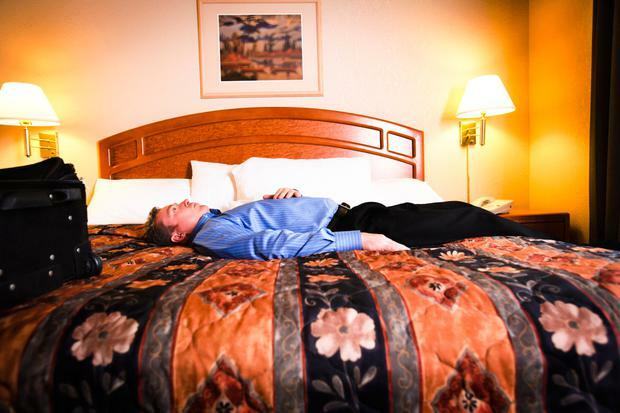 Struggling to sleep in your hotel? Instead of ordering room service, try and find a local fruit vendor. Montmorency tart cherries are one of the few natural sources of melatonin, the hormone responsible for the regulation of the body’s internal clock and sleep-wake cycle. “Cherries can help improve sleep quality, including sleep efficiency, the number of awakenings at night, nocturnal activity and actual time spent sleeping,” says Emma Derbyshire, a nutritionist speaking on behalf of British Cherries. To reap the benefits, have either a handful of cherries as a bedtime snack, or swill down a small serving of tart juice – you might just find that it stops you from staring at the ceiling all night.